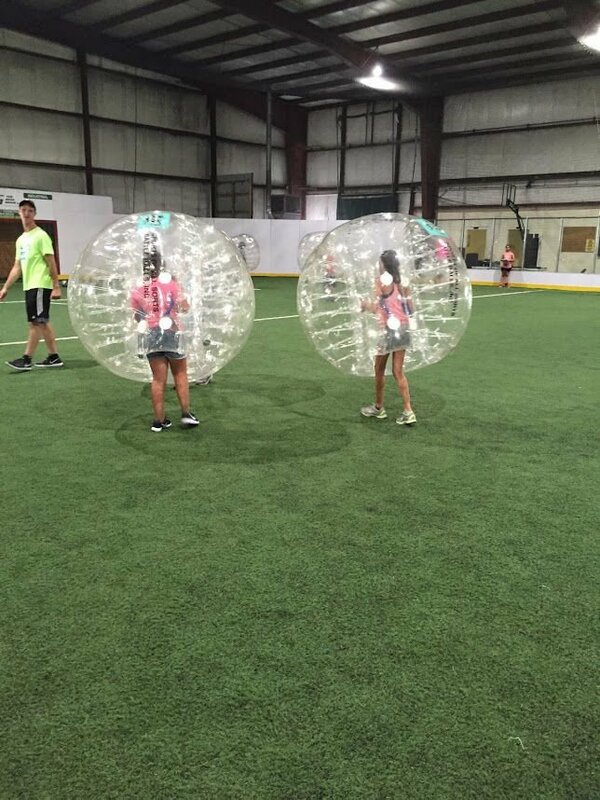 Bubble soccer is one of the activities designed to keep kids engaged and on the move. Green slime. Shrieks of laughter. Running, jumping, playing. 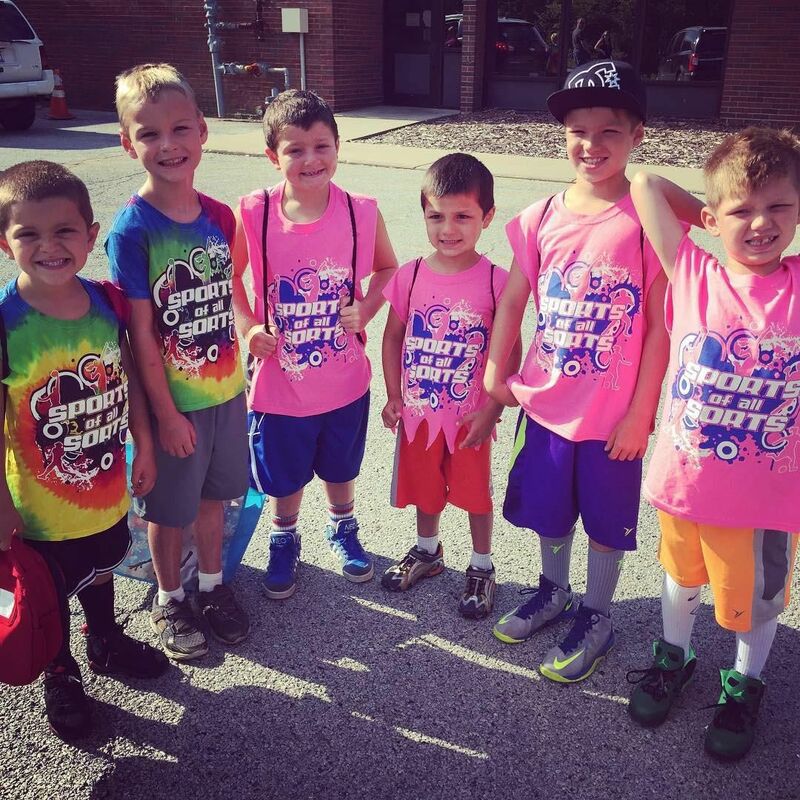 “It’s controlled chaos,” chuckles Jen Clark Karlin, owner and operator of Sports of All Sorts Inc., which offers a six-week summer camp in Dyer designed to keeps kids moving. The chaos is controlled with planned activities and an emphasis on fair play. Karlin, a physical education teacher at a Chicago middle school, had been leading youngsters in some of the same summer activities at a nearby park. “I thought, ‘I can do this,’ so I started my own summer camp business” nine years ago. The Palos Park, Ill., resident soon discovered the Dyer Indoor Soccer Arena and its spaciousness. With her first full camp in Dyer in summer 2017, Karlin was pleased this year’s mid-April sign-ups surpassed last year’s — 121 kids are registered. Amy del Rio, whose son Nick attends the camp, admits she’s an “overprotective” parent and loves the way the camp is run. “It’s very organized, very well supervised and the kids are constantly playing,” says Del Rio. Nick, who will be 13 in July and has attended Sports of All Sorts for six years (including at Karlin’s former location), will be joined this summer by his brother Zach, 11. Occasionally she offers a field trip for bowling, an outdoor harnessed-ropes course, ice skating, a trampoline park, and even indoor skydiving by iFly. “That’s really cool, though it is costly.” Karlin says she beaks even on the field trips and offers activities with high, middle and low price points. Karlin says a welcoming atmosphere and good sportsmanship are key at Sports of All Sorts. “No matter how good they are at an activity, it’s giving them the opportunity to be safe and comfortable, to not feel embarrassed or self-conscious.” Leadership is another important focus, says Karlin. “I really push for (kids to show) leadership and role models.” For tournaments and ”Olympic” events the staff chooses a captain based on the child’s ability to take ice skating cancelled leadership — not necessarily athletic ability. There are awards, too, for excellence, hustle, MVP, sportsmanship and more. “But it’s not an ‘every kid gets a trophy’ situation,” says Karlin. The number of staff supervising an activity is determined by how many kids are participating and their ages (they’re organized by age group). Karlin likes hiring kids who’ve attended the camp and are now older and hires teachers for the littler kids. Parents can register their children for two, three or five days a week, from June 18 to July 27. “I am never bored at camp,” adds Tyler Digiovanni, 8. Dyer Indoor Soccer Arena, 14914 101st Ave.
June 18 through July 27,9 a.m. – 2 p.m. weekdays. Extended hours available for additional fee, from 6:30 a.m. and until 5:30 p.m.
For more information on availability, fees, and more visit sportsofallsorts.org.